To begin the process you will need to remove the NVR cover. Use a Phillips head screwdriver to remove the four screws on the back and sides of the device. Once the screws have been removed, lift the lid to expose the NVR's motherboard. To factory reset the device, hold the reset button and unplug the NVR from power. 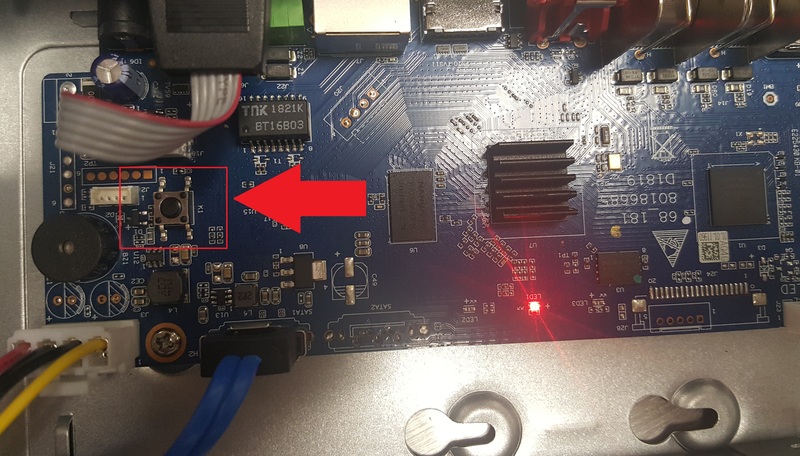 Once power is removed from the unit, press and hold the factory reset switch for 4 - 5 seconds, continue holding the reset switch and plug the NVR's power supply back into the unit. You should hear a beep if not that is alright. Continue holding the reset switch and allow the device to initialize for 20 - 30 seconds and then release the switch. When complete the NVR will be reset to its factory default settings.